Nothing like a three-day holiday to inspire us to partake in a breakfast foodie adventure. This holiday morning we finally made our way over to Kimmieâs Coffee Cup in Old Town. My wife Kim found them online a couple of months back and for some reason we kept forgetting about it until now. The Kimmieâs Coffee Cup in Orange is one of four in Orange County. The one we visited has a European country kitchen feel with about twenty tables available inside and out along with a counter. Kim ordered their special of the day, which was blueberry pancakes with strawberries and whipped cream. Very red, white and blue! These were served with eggs and sausage. Kim almost gave me her sausage but the waitress was kind enough to proactively ask if she wanted something else instead. This worked out well as she ordered a side of hash browns. It made it easier for me to decide what I wanted. The pancakes were fluffy and tender and they had a lot of blueberries. Fresh strawberries are always a nice touch. The only area of improvement on this was they used the canned blueberries for the batter on top as garnish. Considering it is a special it makes sense maybe to not have fresh berries but maybe not have them on the outside if that is the case. The eggs were scrambled perfectly and you can tell they were cracked fresh! The hash browns are awesome, nice crunch on the outside and buttery on the inside. I ordered the Country Benedict. 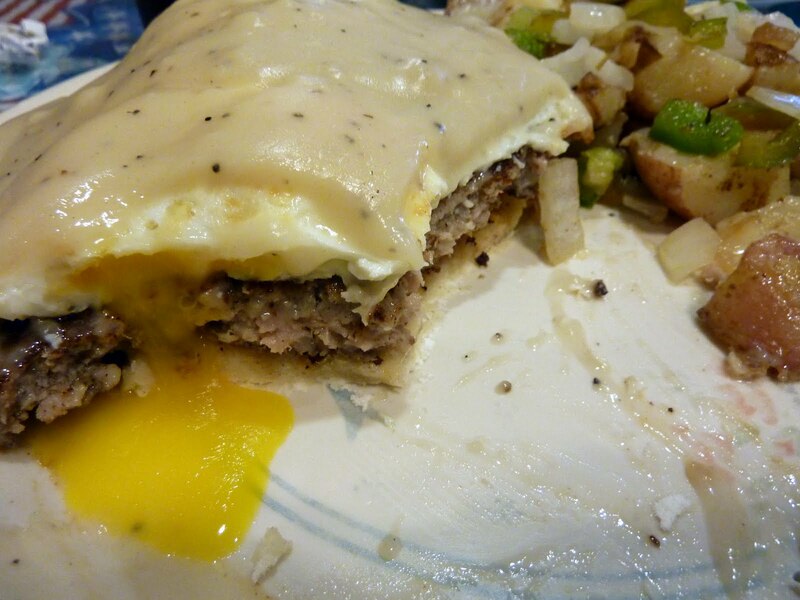 This was an open-faced biscuit topped with their own homemade sausage patty with two eggs and country gravy. I really liked their sausage. It had a ton of flavor and a small touch of spice! The biscuits were fresh and my over medium eggs were right on the money. 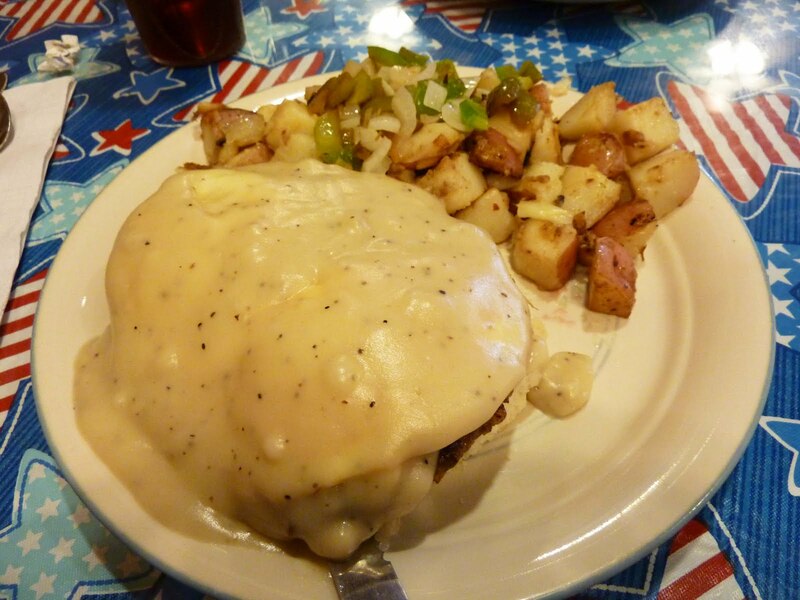 The benedict was served with redskin potatoes with peppers and onions. They were seasoned well and had a good flavor to them. If they were crisped up a bit they would have been as good as the hash browns. But the hash browns won that battle. They reminded me of a time when I was a kid and would go to breakfast with my grandmother. Dang, I really love “good” hash browns! Kimmieâs Coffee Cup did a good breakfast. The servers were all very friendly and super attentive. Coffee was never less then half full which is nice when you need a caffeine boost. I am sure we will visit them out again!